This beautiful specimen of Clove polyp sports bright orange stripes on its feathery tentacles, and a bright green polyp center. 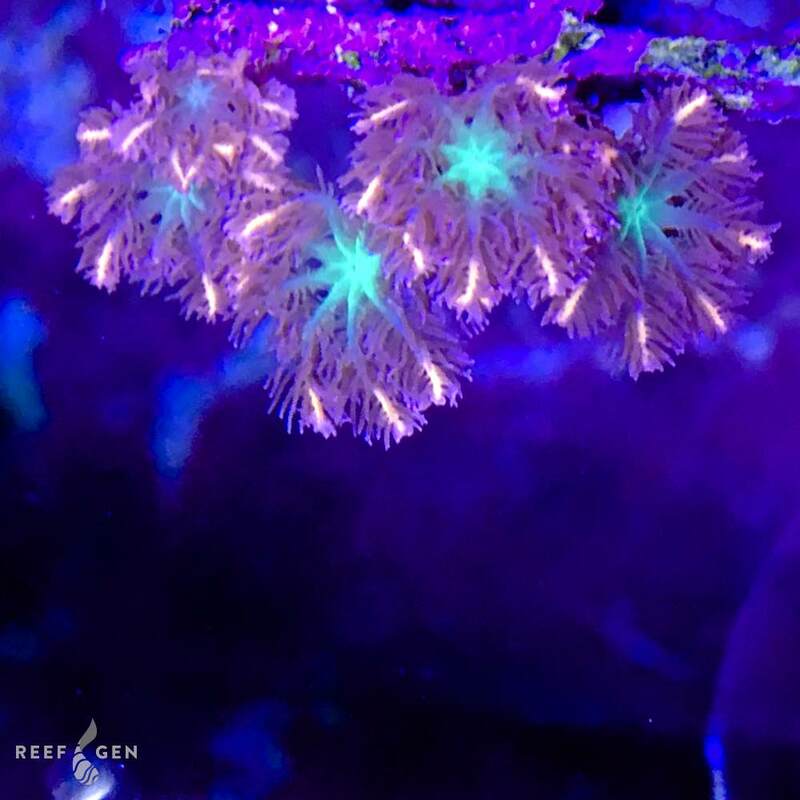 These softies are an extremely unique, colorful, anf visually dynamic addition to any reef tank. 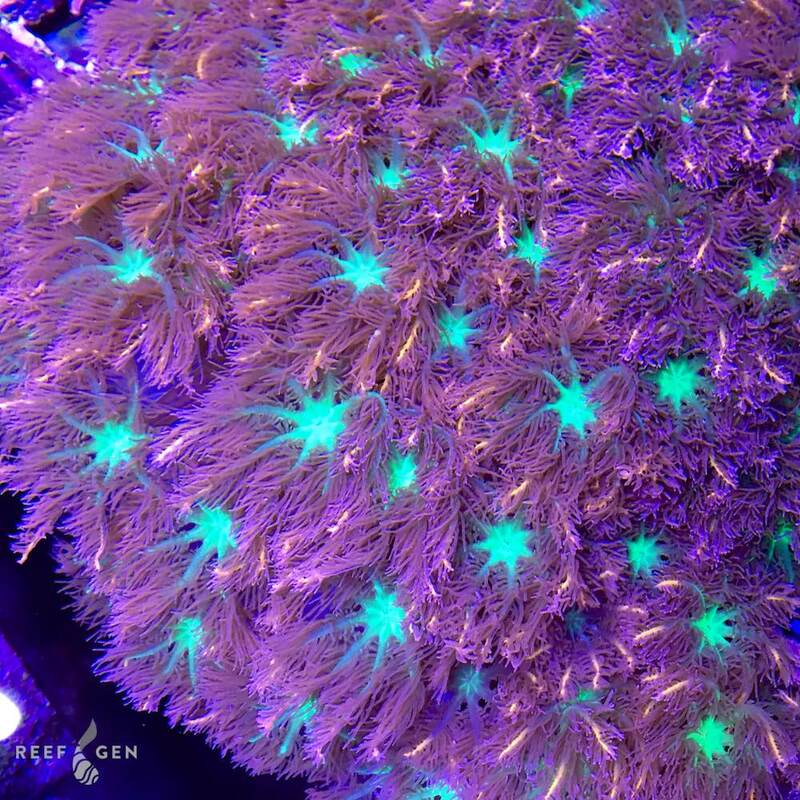 They also are extremely well-behaved and do not grow too quickly or aggressively among other corals.